Today on The Ave Podcast, we break down all the action of the 2018 NBA Offseason. 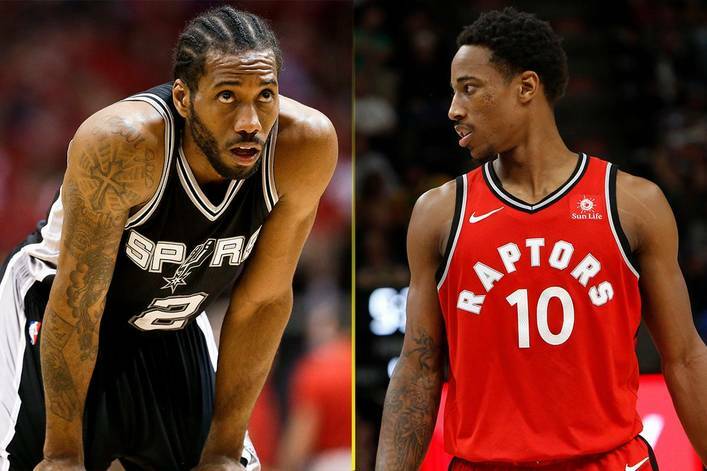 I invite friends of the podcast Headley & Randall Walter (Head Coach of Team Breakdown’s AAU Basketball Program), as we deep dive into the Kawhi Leonard – DeMar DeRozan blockbuster trade that the San Antonio Spurs & the Toronto Raptors pulled off, plus we eulogize Demar’s career with the Raps, I break down my experience going to the 2018 NBA Summer League, plus a ton more. Seriously. A whole lot more. To subscribe to South Shore Ave, click onto the Follow button, and enter your email address, or click onto the RSS Feed. Very special thanks to Randall Walter, Headley, and Julian aka Jules Da Commish for their guest appearance on this podcast. This entry was posted in Basketball, South Shore Ave Radio, Sports and tagged Basketball, Demar DeRozan, DeMarcus Cousins, Kawhi Leonard, LeBron James, NBA, NBA Summer League, Paul George, Russell Westbrook, San Antonio Spurs, Sports, Toronto, Toronto Raptors on July 26, 2018 by Cal Cee.